Sherrill was born in Winston-Salem. He attended Wiley Elementary then graduated from Reynolds High School in 1943. Between high school and NCSU, he spent three years in the Navy and was most impressed with the architecture of Cuba during five visits to that island. He entered the NCSU Architectural Engineering program in 1946 and graduated from what became the School of Design in 1951. 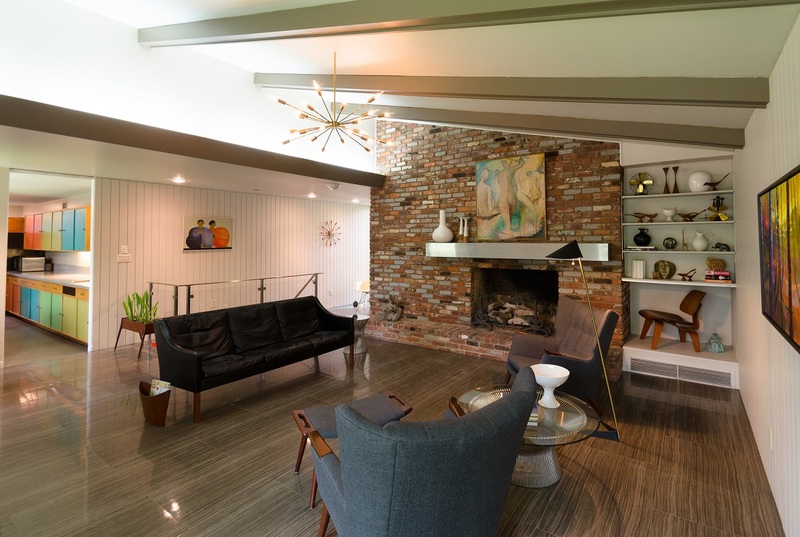 After interning for several Raleigh architects, he worked for Clemmer and Horton in Hickory from 1953-1958 where four of his buildings won AIANC Awards. He did many buildings at Lenoir Rhyne College. He started his own firm in 1958. Sherrill won a 1962 AIANC award for a Northwestern Bank branch in Hickory. He designed an addition to Gardner Hall (now Thomas Hall) on the NCSU Campus in 1965 that was completed in 1967. A lifelong artist, his works have been on display all around North Carolina, examples above. The 2003 reunion of the 1951 Class of the NCSU School of Design. 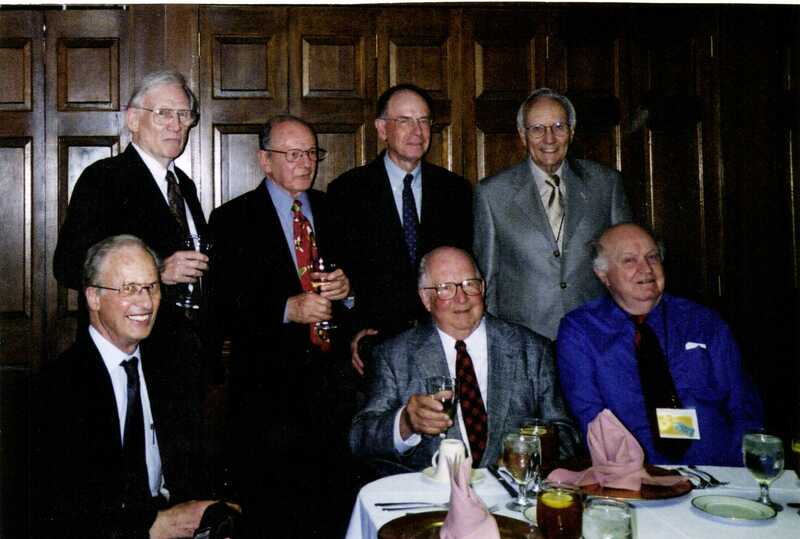 From left to right: Jim Freehof, Peter Norris, Frank DePasquale, Bill Sigmon, Calvin Howell, Jim Sherrill, and Jim Brandt. March 1965 Article on Sherrill from the Hickory Daily Record. 1955 - The Edgar W. and Jane Lane, Jr. House, 308 Bouchard Avenue NE, Valdese NC. The Lanes lived there for almost 55 years. 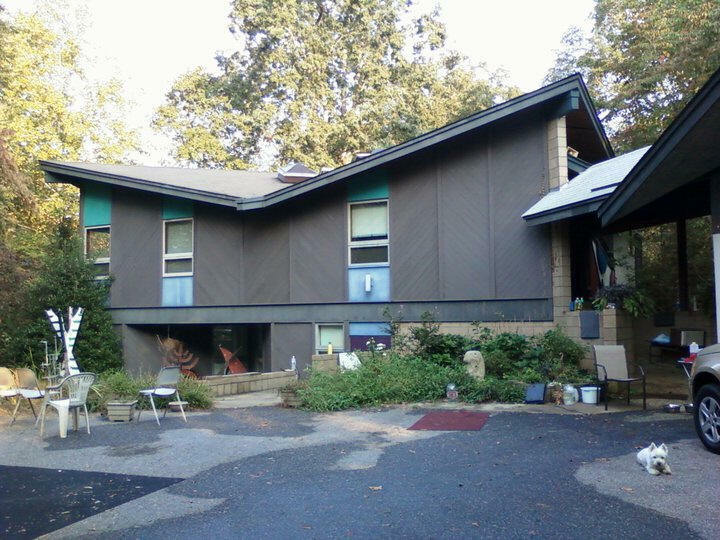 Sold in 2013 to Gretchen Lane and Bobby Gene Costner. 1957 - The Vernon T. and Helen S. Mahaffey House, 1069 5th Avenue Court NW, Hickory NC. Commissioned 1956. Transferred in 2008 to heirs. Sold in 2008 to Ronald Crider. Deeded in 2009 to Ronald Crider and Jeffrey Howard Friedman, who did a remodel. Sold in 2014 to Jennifer Evans and Tev Barros. Sold in 2017 to Evita Smith and Michael Judd. 1957 - The C. H. Davis Jr. Residence, 915 2nd Street NW, Hickory NC. Commissioned 1956. Sold in 2015 to Robert Chambers and Stephanie Simpson. 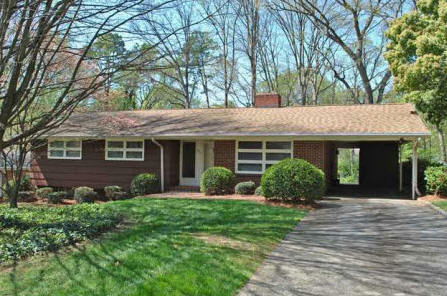 1957 - The James N. and Connie Scott Sherrill House, 1075 5th Avenue Court NW, Hickory NC. When they divorced in 1985, Connie Sherrill kept the house and still owned it as of 2012. 1957 - The Henry H. Sherrill, Jr. Residence, 760 Westview, Winston-Salem NC. Commissioned 1951. Henry was Jim Sherrill's brother. Sold in 2013 to Marily P. and Mark J. Johnson. 1958 - The Joseph Sherrill Residence, 404 Avalon, Winston-Salem NC. Joseph was Jim Sherrill's brother. 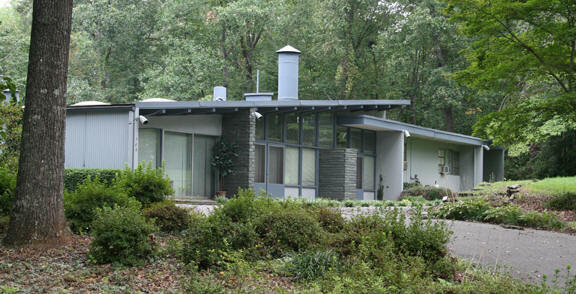 1958 - The William S. Miller Residence. Do you know where it is? 1959 - The James E. Phillips Residence, 84 17th Avenue NW, Hickory NC. Commissioned 1958. Built by M. G. Crouch Lumber Company. Featured in House and Garden Magazine, October 1963. 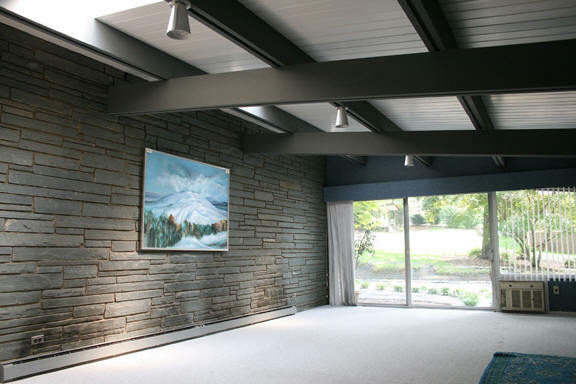 Remodeled 1970, enclosing a carport to add bedrooms. Transferred in 2001 to the Phillips Family Trust. Sold in 2014 to Kathryn (Katie) Bass Scheide. 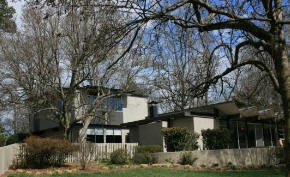 1958 - The Hersh G. and Estelle Cohen Residence, 1045 15th Avenue NW, Hickory NC. Transferred to heirs. Sold in 2000 Tisha Ann Lutz and Charles Anthony Zagaroli. Photos by Virginia Faust. 1959 - The Edward L. White Residence, 657 18th Avenue Drive NW, Hickory NC. Built by MG Crouch Lumber Company. Sherrill did later additions and alterations. 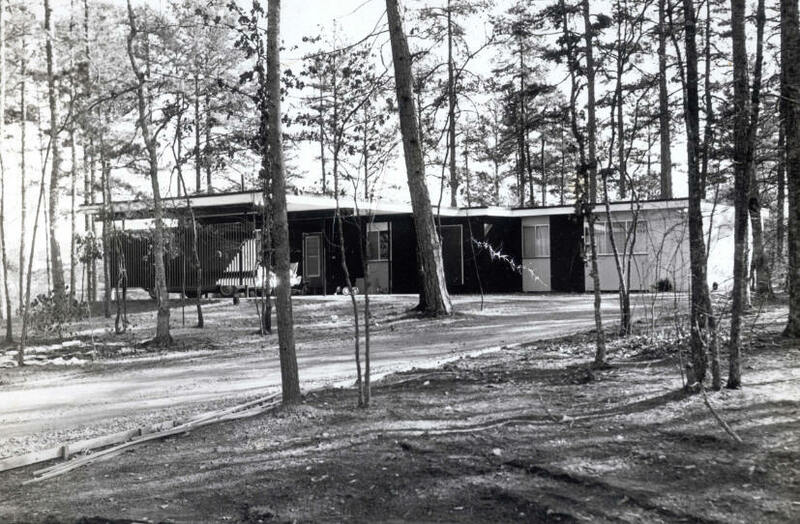 1959 - The Allen Reid McKay Sr. Residence, 1337 10th Street NW, Hickory NC. Transferred to the Allen Reid Mckay Sr. Trust. Sold in 2004 to Anne Cline and John Dodd Brock. Sold later in 2004 to Vickie L. and Steven J. Blevins. 1959 - The Don Clark Residence. Do you know where it is? 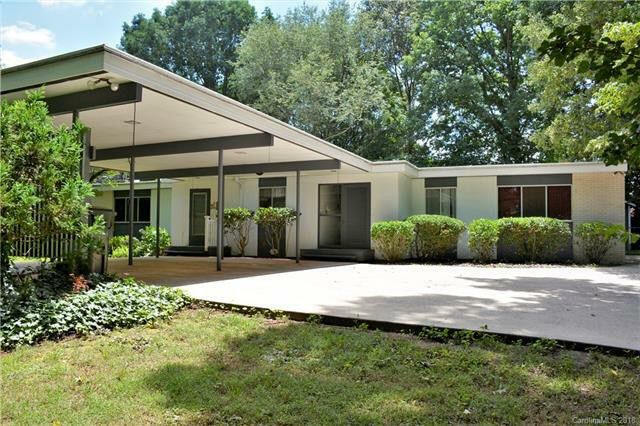 1959 - The Vernon and Peggy Flowers Residence, 909 14th Av NW, Hickory NC. Sold in 1973 to Ernest and Dorothy Neber. 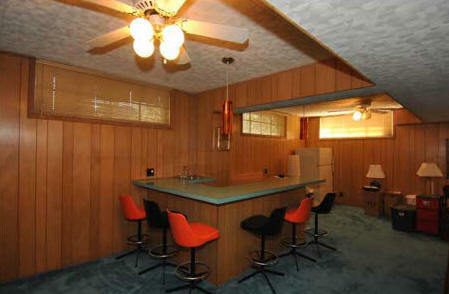 Sold in 1976 to Scott and Nancy Smith. Sold in 1977 to Robert and Margaret Campbell, still owners as of 2015. 1960 - The Clarence R. and Elizabeth T. Cockerham House, 1030 15th Avenue NW, Hickory NC. Sold in 1967 to Kay J. and David N. Webber. Sold in 1980 to Sallie H. and James E. Holt. 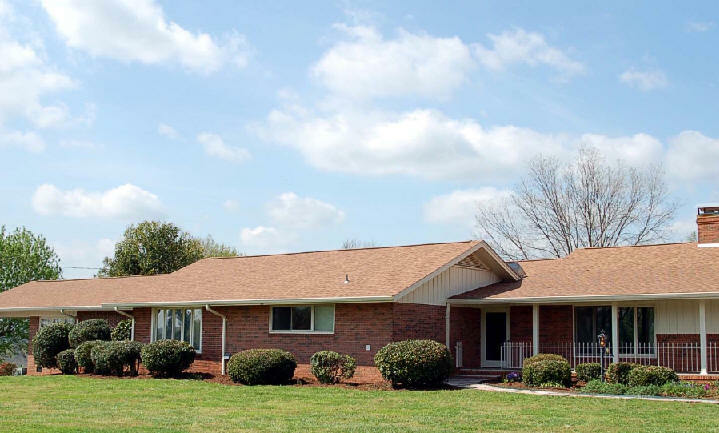 Sold in 2001 to Sallie H. Holt and Robert Taylor Lasley. Has been signficantly modified. Fronts on 10th Street. 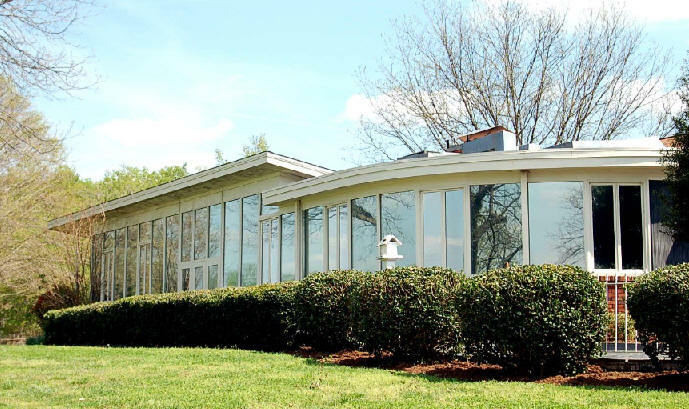 1962 - The Hal and Sybil Willett Residence, 4461 1st Street NW, Hickory NC. Commissioned 1960. 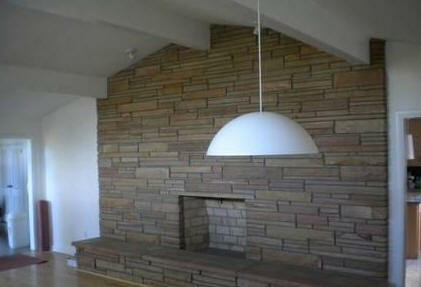 Sold in 2007 to Felix A. and Karin Blanchard III. 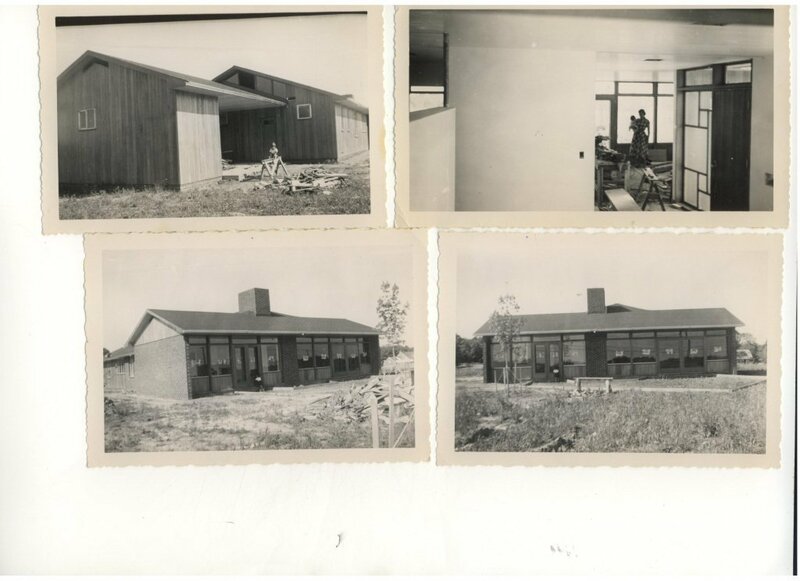 1960 - The Vernon Brewer Duplex Apartments, 2838-2844 Startown Road, Newton NC. Sold to Walter Thomas and Kaye E. Mundy. 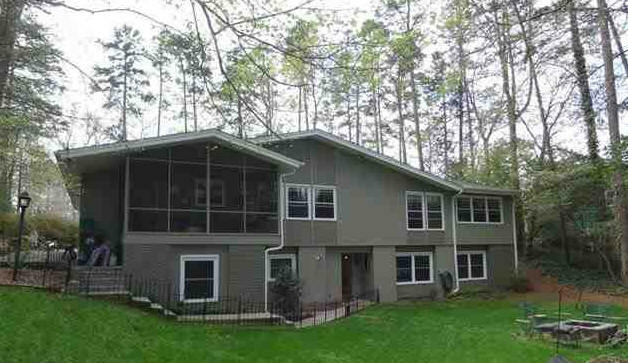 1960 - The Raleigh Frye Lake House, 2314 Moss Farm Road, Hickory NC. 5500 sf. 10 acres. Sold in 1986 to Elbert A. Rudisill, Jr. and Susan F. Rudisill. Sold in 1989 to James A. and Valerie E. Howard. Deeded in 2003 to Valerie E. Howard. For sale almost three years. NCMH provided an appraisal and other support. The house sold in 2015 and will not be destroyed. 1961 - The Clyde L. Herman Residence, 630 5th Avenue NW, Hickory NC. Sold to Lenoir Rhyne College. 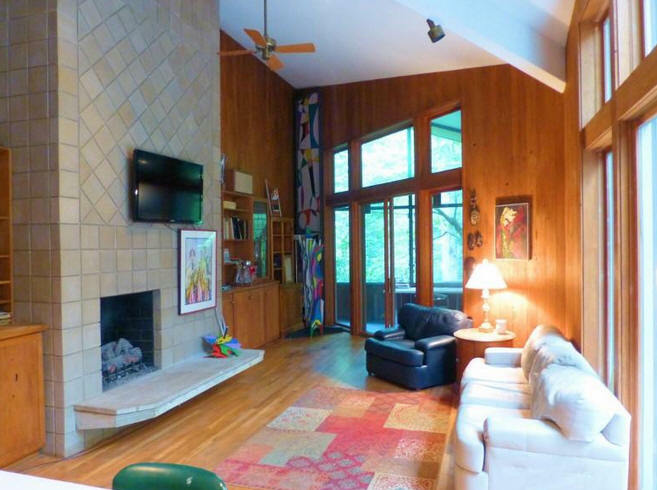 Sold in 1981 to Robert and Ruby Brown Wyly. Sold in 2003 to Carol Beverly Aderholdt. Photo by Chad Baker. 1961 - The Robert A. and Louise T. Tunstall House, 3420 2nd Street NW, Hickory NC. 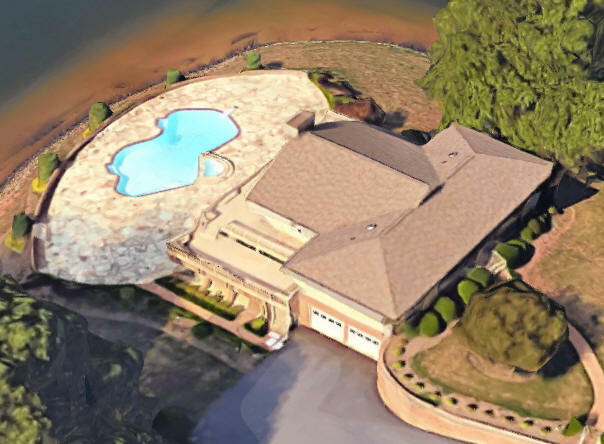 Heirs sold in 2010 to Dave C. Miller Inc. Sold in 2012 to Elizabeth P. and Robert D. Hancuff. 1962 - The Surfside Apartments. Do you know where they are? 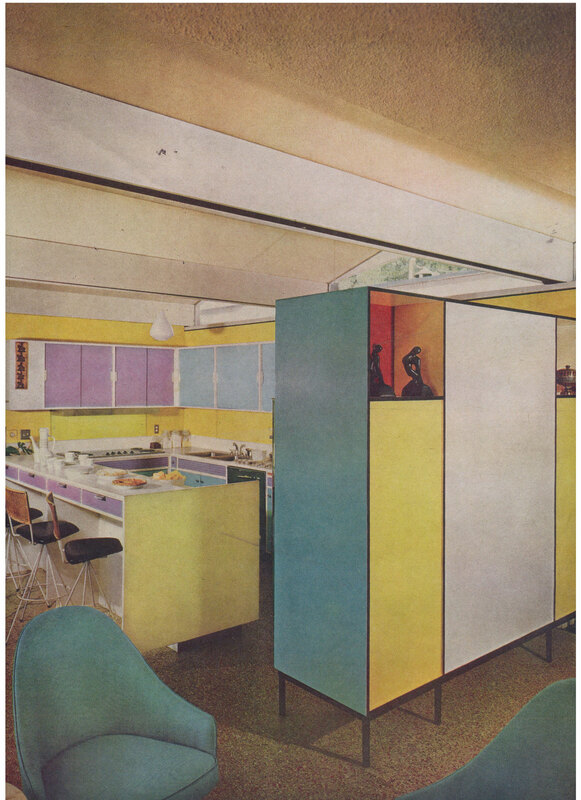 1962 - The Paul Fogleman Lake House. Do you know where it is? 1963 - The W. O. and Charley K. Sowers Residence, 1077 19th Avenue Place NW, Hickory NC. 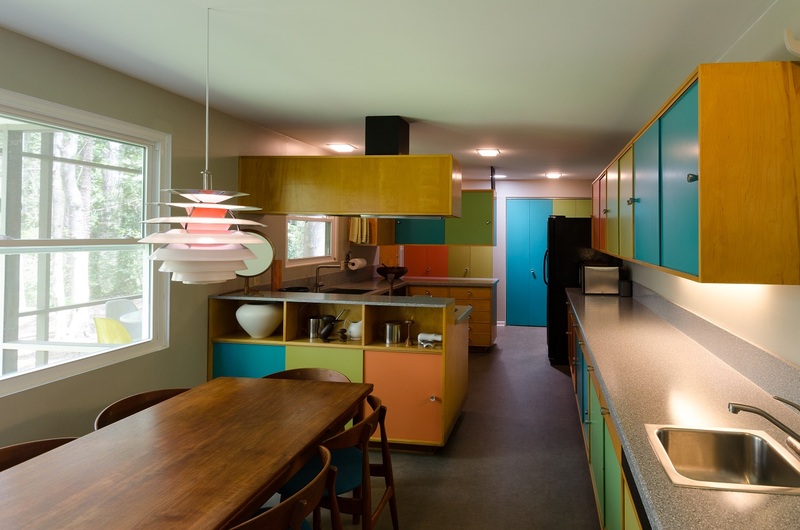 The kitchen colors were nearly identical to the 1959 Phillips House. Older photos provided by Mark Sowers, the boy in the third photo. 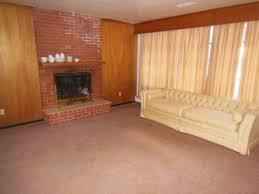 Sold in 1966 to Ann B. and Don E. Anderson. Sold in 1978 to Gwendolyn and Michael Hurley. Deeded in 1982 to Gwendolyn H. Hurley. Amended in 1982 to Kenneth L. and Gwendolyn H. McGrady. Guardian of Kenneth directed sale in 2018 to Dena A. and Mark R. Blossey. 1963 - The Ben Brantley Brooks Sr. House, 1505 8th Street NW, Hickory NC. 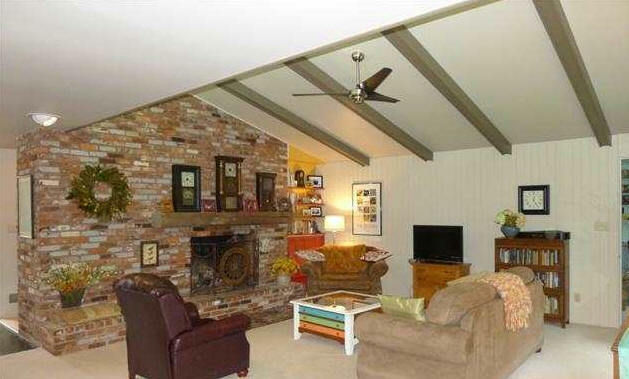 Sold in 1994 to Carol P. and John G. Holleman. Sold in 2002 to Paula and Reed Krosnick. 1963 - The Julius A. White Residence and Tenant House. Do you know where it is? 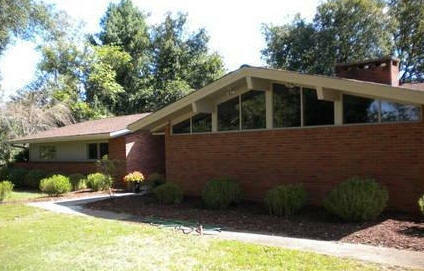 1963 - The Paul W. and Mildred (Mickie) M. Whitener House, 634 25th Avenue, Hickory NC. Deeded in 1966 to Raymond F. Coe and Mildred McKinney Coe, formerly Mildred Whitener. Heirs sold in 2009 to Therese and Thomas Del Greco. Sold in 2013 to Chad and Tina Clement Baker who did a restoration. Featured in 2016 in Atomic Ranch. 1965 - The George Squillario Residence, Valdese NC. Do you know where it is? 1966 - The Charles (Charlie) Burgess Residence. Do you know where it is? 1966 - The R. A. Tunstall Apartments. Do you know where they are? 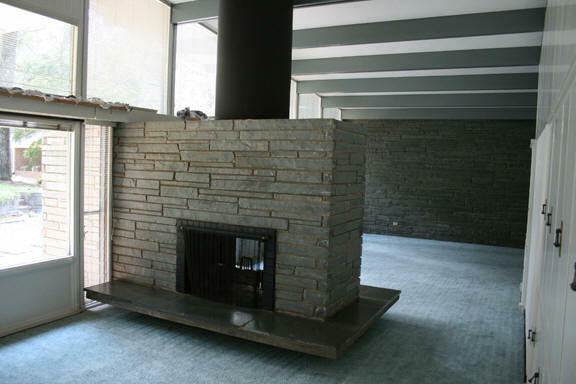 1966 - The R. L. McKaughn Residence, Hounds Ears NC. At the golf and ski club. Do you know where it is? 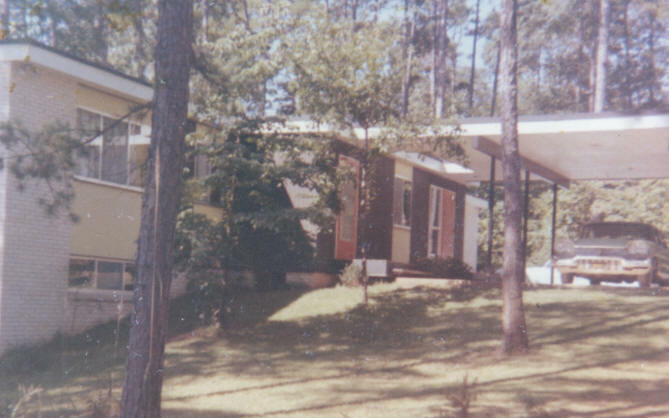 1967 - The H. G. Gabriel Residence, Catawba County. Do you know where it is? 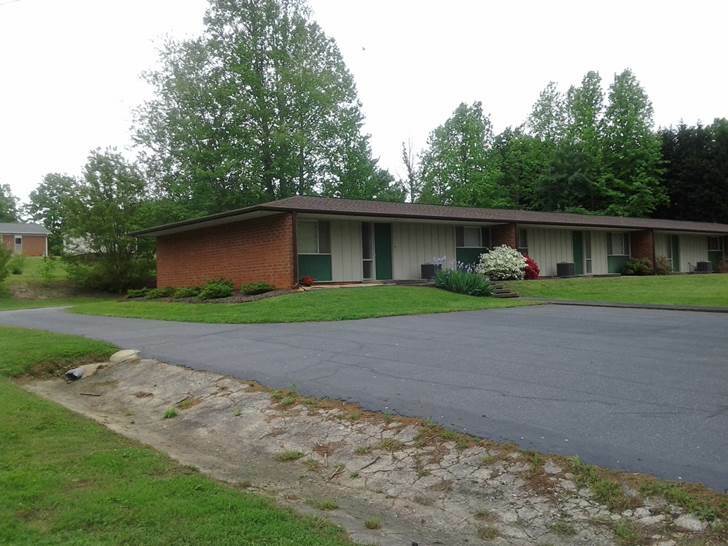 1967 - The Robert L.and Jeanette S. Johnson, Jr. Residence, 1841 5th Street NW, Hickory NC. Sold in 1998 to Marna L. and Robert H. Arthur Jr. Sold in 2003 to William Ramsay Abernethy Jr. Sold in 2010 to Brannon C. and Jason Scott Earles. 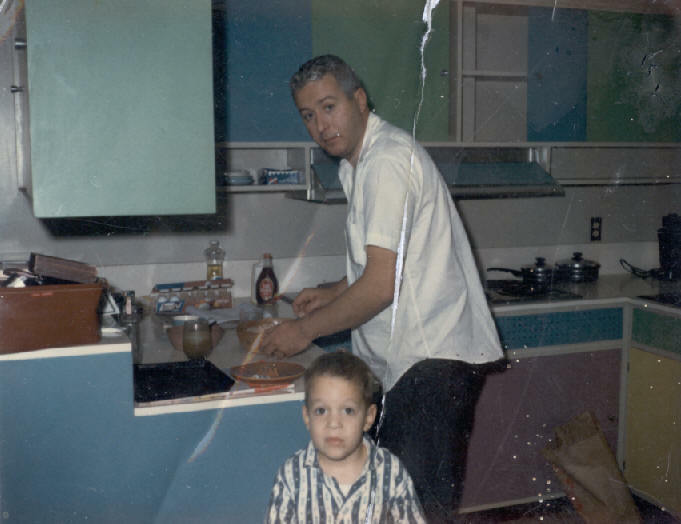 1967 - The Joe Teague Residence. Lakemont Park. Do you know where it is? 1967 - The Burl W. Warren Apartments. Do you know where it is? 1969 - The C. M. Teague Residence. Do you know where it is? 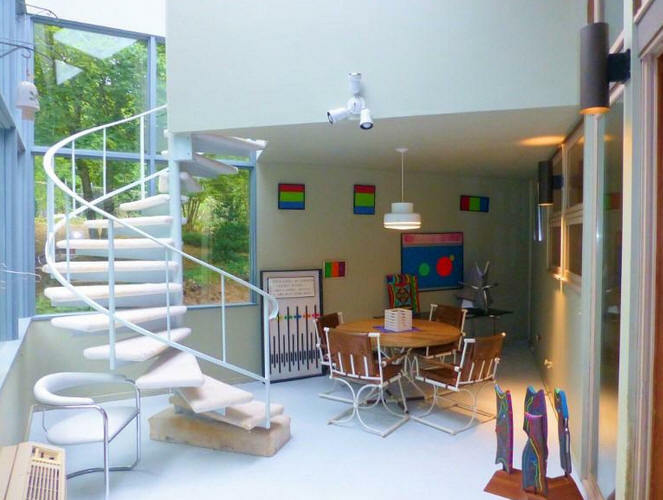 1969 - The George Squallario Residence, Beech Mountain NC. Do you know where it is? 1969 - The Dan Teague Residence. Do you know where it is? 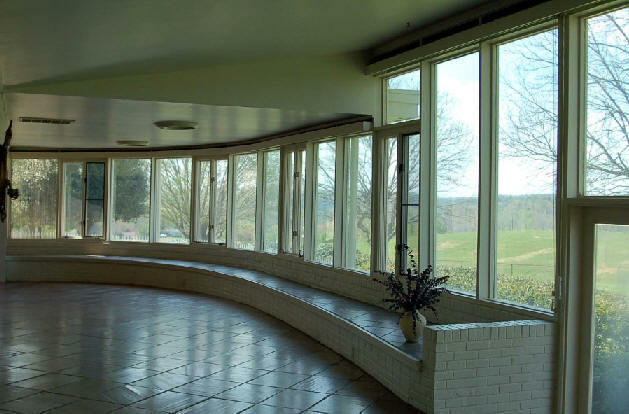 1971 - The Vernon and Peggy L. Flowers Residence II, 1080 25th Street NW, Hickory NC. Commissioned 1970. On Lake Hickory. Built by M. G. Crouch Lumber Company. Landscape design by Lewis Clarke. As of 2012 still owned by the Flowers. 1971 - The Colonial Theaters Apartments, Valdese NC. Do you know where they are? 1971 - The Dan Corbett Residence. Do you know where it is? 1971 - The Barry Setzer Residence, Hickory NC. Sherwood subdivision. Do you know where it is? 1972 - The O. T. Sherrill Apartments. Do you know where it is? 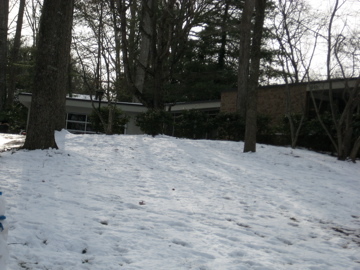 1973 - The Marvin A. Cohen Residence. Do you know where it is? 1973 - The Pent House Apartments. Do you know where it is? 1975 - The Bill E. Gray Residence. Do you know where it is? 1975 - The Clifford Cooper Residence. Do you know where it is? 1976 - The Andre Teague Residence. Do you know where it is? 1981 - The Tommy V. and Betty Lou Bumbarger Residence, 3730 8th Street Court NW, Hickory NC. Sold in 1994 to Louise S. Brezin and James N. Sherrill. 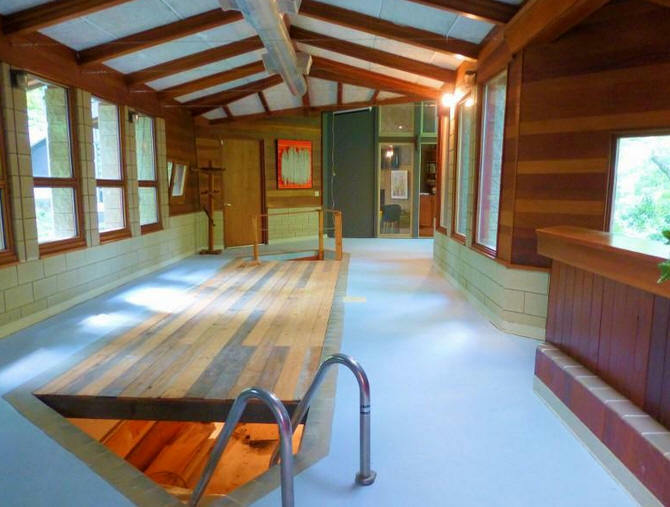 Remodeled in 1996. Deeded in 1998 to James N. Sherrill who lived there until his death when it was deeded to his heirs. Sold in 2015 to John A. Mawhinney III and Margaret Manderson. 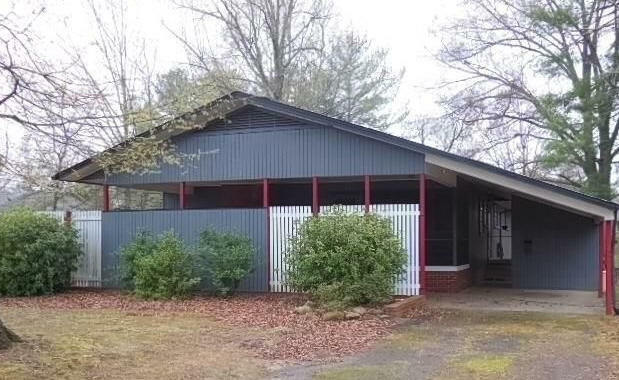 1981 - The James N. Sherrill Jr. House, designed for his son, 2446 Startown Road, Newton NC. Commissioned 1979. Deeded in 1984 to Mary Elizabeth (Sherrill) Lutz Hall who still owned it as of 2012. 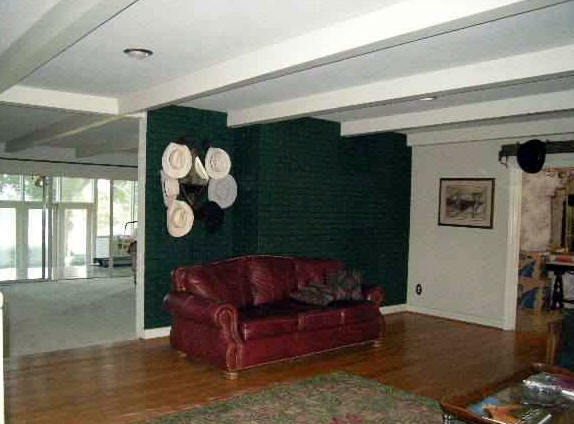 Remodeled in 1996. 1985 - The Tom Hay House, Blowing Rock NC. Do you know where it is? 1987 - The Robert L. Frye Residence. Do you know where it is? 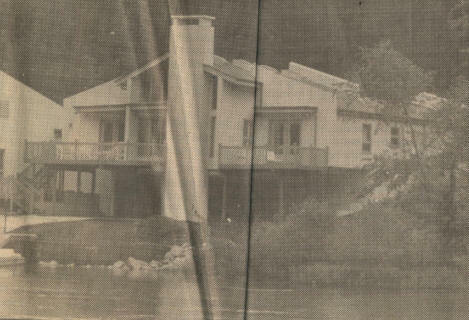 1987 - The Phillip R. Matthews Residence, located on Lake Hickory. Featured in the Hickory News, 9/7/1989. 4000 sf. Built by Guy Frye and Sons. Address unknown; do you know where it is? 1988 - The Carl Ricker Residence. Do you know where it is? 1990 - The Mildred M. and Joe C. Teague House, 241 17th Street NW, Hickory NC. 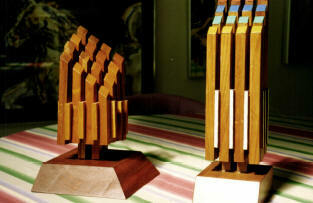 Commissioned 1988. Sold in 2007 to Drendel Investments LLC. Traditional design. 1989 - The Danny and Kay Poteat Residence, 230 Reitzel Road, Lake Hickory, Taylorsville NC. 1990 - The Fred Williams House. Do you know where it is? 1990 - The Harry Mitchell House, Lake Norman NC. Do you know where it is? 1990 - The Jill Sigmon Lake House. Do you know where it is? 1992 - The Clifford Berry Lake House. Do you know where it is? 1992 - The Paul Miller Residence. Do you know where it is? 1993 - The Lori and Bill Sherrill Residence, Kernersville NC. Do you know where it is? Sources include: Ron Crider, Gail Jodon, James Sherrill II, James Sherrill III, daughter Fran Sherrill Bolick.